There is more sad news today, as Newport News High School lost one of its most distinguished graduates. Charles Wicke, Class of June 1945, passed away in Victoria, Canada on Saturday, July 04, 2012 at the age of 84. The brief obituary for Charles R. Wicke, Sr. (NNHS Class of June 1945) appeared in the Daily Press on July 22 and 23. Later I suggested to his son, Charlie Jr. that we could submit a more detailed version to the NNHS Web Site. This would allow us to include a broader view of his very productive and fascinating life's journey. Charlie thought it would be a wonderful opportunity and we worked together to compile this alternate version. A celebration of life seldom appears in an obituary column, but we think he would be pleased for this departure from the ordinary. And I believe his surviving classmates will enjoy being updated. The segment entitled Trying to Grow Up will be of most interest to those who knew him in Newport News. 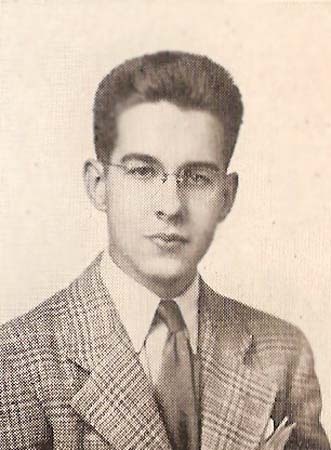 Fred W. Field, NNHS Class of June, 1945. VICTORIA BC, CANADA - Dr. Charles R. Wicke (NNHS Class of June 1945) died July 4th at St. Charles Manor, Victoria, BC Canada after a long illness. He was born April 13, 1928 in Roanoke, VA, the son of R. J. and Mary Robinson Wicke. He was a devoted husband and a loving father and grandfather. He is survived by Chita, his wife of 47 years, two children, Charlie Jr. and Clara, and three grandchildren. Younger brother, Ralph (NNHS Class of 1950) is living in Lancaster Co., PA. Charles had the luxury of enjoying 84 years of life enriched by family and a broad spectrum of friends. In the worst days of the depression, father, R. J. Wicke was laid off from his position as engineer at the Virginia Bridge Co. in Roanoke. A fellow worker happened to land a job at Newport News Shipbuilding and after some correspondence an offer soon came for R.J. as well. Upon moving to Newport News the family initially settled in the Stratford Apartments on 33rd. St. near the Shipyard. Charles entered first grade in Sept. 1934 at John Daniel Elementary. In 1937 the family moved to 63 Cedar Ave. and Charles transferred to fourth grade at Woodrow Wilson School. He then stayed with that same class group through Walter Reed School and then on to Newport News High School, graduating in June, 1945. As a young boy, Charles developed a life long passion for books, chess, stamp collecting and boxing (thankfully as a spectator). He also had a natural talent for art. In high school he frequently impressed friends with his clever cartoons and sketches. But he also had a long and serious interest in the medical world. At graduation a decision had to be made and Charles enrolled at the U. of Virginia, entering in July 1945. 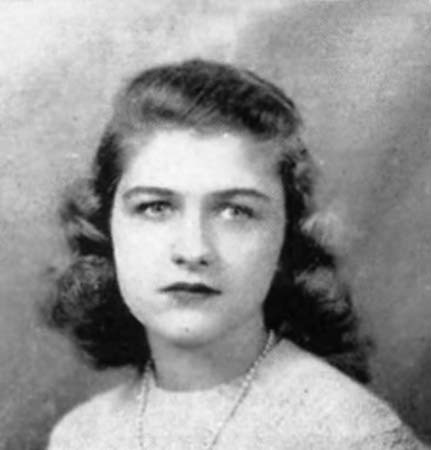 World War II was still raging and all students were on an accelerated schedule. 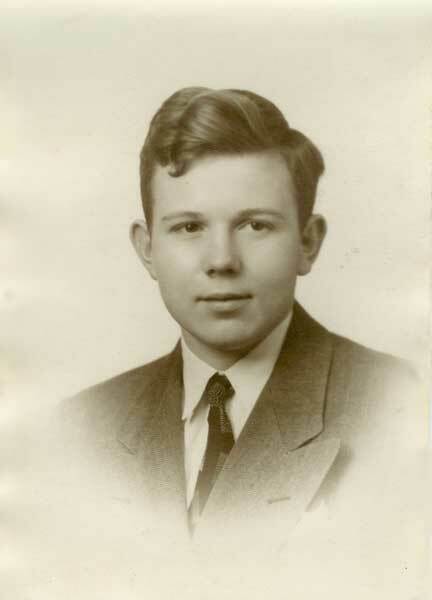 Charles majored in Biology and after just three years, received his BS in June 1948. In the summer of 1948 he was employed as Ward Assistant at the Columbia-Presbyterian Hospital in New York City. With his passion for art still strong he filled his spare time with visits to the local museums and galleries. He also began to attend classes with the Art Students League. There he met noted artists, several of whom recognized his potential and offered valuable counsel. At the end of the summer he decided to forgo Medical School and seriously reconsider the direction of his life's journey. When the Korean War started, the draft boards quickly began to focus on prospects. Those who had previously received college deferments were suddenly in the middle of the target. Charles was soon notified to report for a physical. By February 1951 he had been drafted and sent to Fort Jackson, SC. Fortunately, during basic training both his college degree and art backgrounds were recognized in determining his classification. As a result he was assigned to the Medical Field Service School at Ft. Sam Houston, San Antonio, TX. There he was very quickly put to work creating art for medical manuals and journals. During his two years in San Antonio, Charles made many visits to nearby Mexico where he had opportunities to observe native culture. He also began to develop a fluency in Spanish. When he reached the end of his military obligation, a fellow soldier suggested that Charles board a train to Mexico City to view Diego Rivera’s murals. Thus began a 60 year fascination with Mexico. With assistance from the GI Bill he received his MS in Anthropology at Mexico City College in December 1954. As a bachelor, Charles had wonderful adventures living and studying in Mexico and Peru. A Jan. 3, 1957 Daily Press article announced that Charles had won a fellowship grant from the U.S. State Dept. for study in South America. The grant plan states, "Wicke will do research in the field of archaeology. His study will be an effort to determine why there is a similarity in what is found among the Mayans of Mexico, and the Incas in South America". Recognition from the work on the Peruvian grant also opened the doors to many new and unique opportunities. In 1960 Charles escorted the famous American politician Adlai Stevenson through the archaeological site of Yagul, Oaxaca, Mexico which dates back to 700 B.C. In 1964 he took some students to the Museum of Anthropology in Mexico City. There, a young museum guide named Chita took notice of the ‘knowledgeable gringo’ and her curiosity was piqued. They wed in 1965 - the same year he obtained his Ph.D. from the U. of Arizona. Charles and Chita moved to Paraguay for a few years. In 1968 they relocated again to teach at the U. of Northern Illinois. In 1971 he finished his book - Olmec: An Early Art Style Of Precolumbian Mexico. Again, another move, this time to the U. of Oklahoma. In 1976 he left there for a highly welcome position at the U. of Victoria’s Department of History in Art. The change was refreshing and he was blessed with many wonderful academic friends. 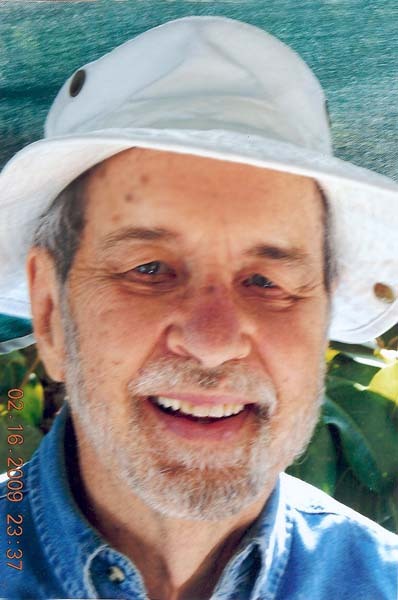 He retired at the age of 60 and spent 24 relaxing years at their two homes, spending summers in Victoria, Canada, and winters in Cuenavaca, Mexico. Charles had an encyclopedic knowledge of sundry topics which made for unforgettably rich conversations. His kind, gentle nature will be missed by all who knew him. Thank you so much, Fred. You have my sincerest sympathies on the loss of your lifelong friend. VICTORIA, CANADA - Mr. Wicke passed away peacefully July 4, 2012. He was born April 13, 1928, in Roanoke, Va. He graduated from Newport News High School (1945) and from the University of Virginia (1948). After serving in the U.S. Army at Fort Sam Houston, San Antonio, Texas (1951-1953), he received his Ph.D. from the U. of Arizona (1965). Mr. Wicke moved to Victoria, Canada in 1977 to join the University's History in Art Faculty. He retired in Mexico in 1988. He leaves behind to mourn, his wife, Chita, of 47 years, two children, Charlie Jr. and Clara, and three grandchildren. View and post condolences on our online guestbook at dailypress.com/guestbooks. Published in Daily Press from July 22 to July 23, 2012. Deep condolences to your whole family. Clara, it was good to see you, and so nice to see your mom again the other night. May your beautiful memories sustain you during this difficult time. My sincerest condolences to you all. May the sweet memories you have of your husband/father give you some measure of comfort at this difficult time. I knew Charles as a colleague, mostly through committee work at UVic; he was a very pleasant man, gentle and kind. His death diminishes us all. Dr. James Arthurs, Emeritus, Linguistics Department. My sincere condolences for your loss. I have fond memories of Mr. Wicke and your family in Mexico many years ago. Farewell to my lifelong friend and high school classmate. Condolences to the family. On behalf of everyone in our family, please accept our condolences. I have countless great memories of Dr. Wicke and was sad to hear this news. It was a privilege to get to know him over the years. Saddened to see that a good friend of Mick (my father) is gone. I met Charles a few times and his wife only once. Would have liked to know them better. Our deepest condolences are extended to Dr. Wicke's family and friends at this difficult time. Wicke's family will be extremely pleased to have extracts published from his story. Somewhere perhaps you can mention somewhere Charles' Street of Dreams story which was published in the 11-03-05 newsletter and later became a stimulus for Parke Rouse to write a commentary story. Charles Wicke also appeared in the articles about Virginia Gall in 7-16-11. My segment identified him as my social consultant. Thank you so much, Fred - you just did!